Kitchens are essential part of any home and we all want spacious and well-appointed kitchen. Your kitchen doesn’t have to be massive to be beautiful. Small kitchens just need some clever design ideas to make them practical and stylish. Wall cabinets can really encroach on space, so consider doing away with yours. Open shelving can make a huge impact in a small kitchen. Nothing makes a room seem larger like simple white walls, so why not take it further with sleek, contemporary details that open up the space. Light, reflective materials and minimal designs are perfect in a small kitchen. 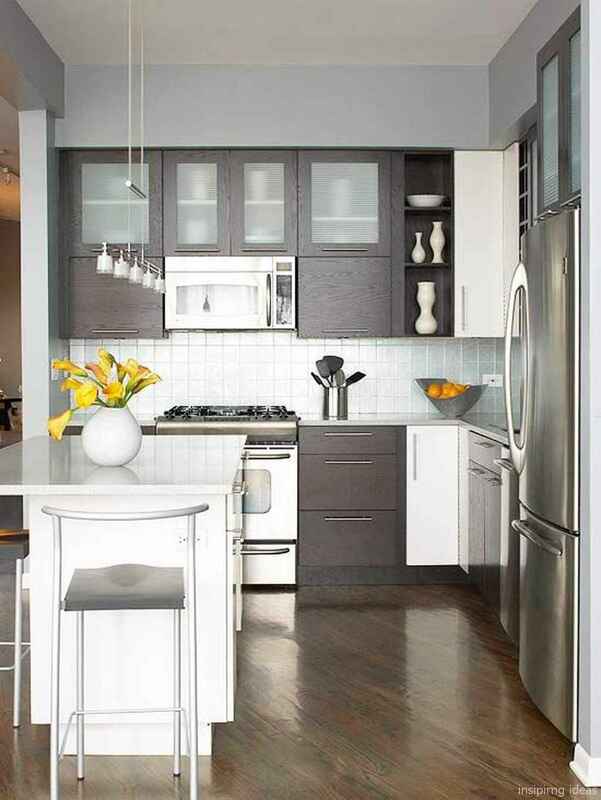 Try to explore this 66 Small Modern Kitchen Design Ideas below to get inspired. Enjoy and share!